Hearing the words “you have mold” can be one of the scariest moments of an homeowner’s life. 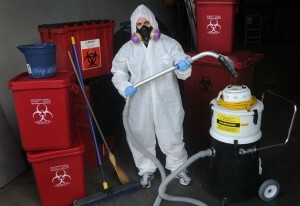 Disaster Restoration Texas provides 24 hour mold remediation services. Mold spreads quickly and can cause severe respiratory problems, especially in infants, children, and the large elderly population in Texas. If mold spreads too greatly, a property can be declared uninhabitable due to the threat that mold poses to the health of the occupants. Luckily, our certified Dallas mold inspectors can solve any mold remediation or removal problem. Due to the severe impact on occupants that mold can have, mold remediation and mold removal should never be left to an amateur. Our Texas mold remediation team offers professional removal processes for mold remediation, no matter how far the mold has spread. Our Texas mold remediation team will use the newest technologies to locate all sites of mold during our thorough mold inspection process, and then we will remove damaged structures and replace or reconstruct them. Mold can sometimes turn up over time, especially in a damp area, but can also result from hidden leaks, such as behind sinks or showers. Our Texas mold remediation team will provide a thorough mold inspection to search for not only mold itself, but also the source of all mold. The source of the moisture will be repaired, and all sites of mold will be repaired. The property will be free from mold and dampness, and will be safe for future and current occupants of the property. If it is discovered that the mold in your Texas home is the result of standing water, we will also provide you with water extraction services.